Itemized sourcing: everybody else is doing it, so why can't we? Itemized sourcing is the new mantra in the business. Basically, it means that you should split the BoP (Civil and Electrical works) in as many lots as possible, in order to achieve substantial savings. This strategy is the opposite of the “single subcontractor” approach, where you give the full package to a unique contractor or at least few of them. What are the benefits of itemized sourcing? 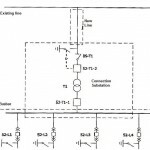 In addition to the possibility of achieving a lower price you also have more control on the purchase of critical items (for instance the main transformer). Additionally, our friends in Procurement (for instance my role model Ignacio) can create PowerPoint slides showing huge savings to the rest of the organization. The untold story is that there is no free lunch. What you are achieving is simply a different risk profile for your project: if the truck driver destroy your transformer against a bridge that is a few centimeters too low or if the foundations are build in the wrong place (believe me, both example are from real projects) you will have an hard time to recover your losses - because you purchased the transformer by yourself, or because you have in your pocket many small contracts with low liquidated damages. Let’s assume that you split a 10 ML USD contract in 5 smaller contracts worth 2 ML USD each. You should tender every smaller contract separately. Therefore an additional effort is needed from the Tendering Department and from Procurement. 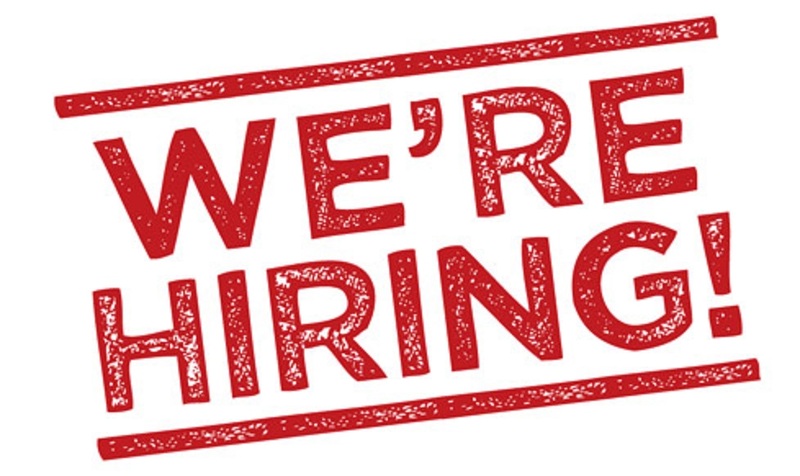 Some big subcontractors will decline the job, because the size of the job is too small for them. You will need to discuss the contract (at least) 5x times – 10x if you have more than one option on your table. Unless the applicable law for your contract is something like Sharia (with dispute resolution in Riyadh) you will not be able to claim more than 100% of the value of the contract (2ML) from them. However your exposure toward the customer will be 10ML plus the value of the turbines. If one of them has a problem your risk will be huge. In the real world is often not so easy to understand who is causing a delay. Sometimes there are concurrent delays, sometimes it was not clear who was expected to do a job, other time a finger pointing game start. The more the subcontractor, the more the risk. Lastly, during construction you will need (at least) 5x more effort from the Contract Manager – and for the Site Manager, Project Manager and all people on site. Don’t get me wrong – I understand that sometime there is no real alternative to make the project fly. However, before you embrace the itemized sourcing of the BoP as the solution for all your problems, you should keep in mind the additional work (try to negotiate 10 contracts in parallel) and risk that you are taking on board. This is a short (and incomplete) summary of the main test which are usually performed in a wind farm. Test can be divided in 3 categories: factory tests, site tests and performance tests. Some test are performed before the start of the construction works, others during construction and commissioning and others when the wind farm is completed and producing power during the defect liability period. These tests, usually called FAT (Factory Acceptance Tests) are performed during the manufacturing of the WTGs and the other main equipment of the wind farm (such as the substation main transformer). For the BoP, you will test at the very least the main transformer and possibly the MV cables. Site acceptance tests can be divided in test on commissioning and test on completion. The “commissioning” of a wind turbine is a setoff activities performed to confirm that the wind turbine has been correctly installed and it’s ready for energy production. 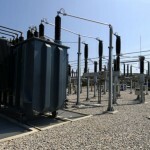 You normally need to have the grid connection to do the commissioning – this means that the wind farm substation (or the connection to the grid) should be ready. A very long list of items is checked at this point. Some of the key ones are run test with the WTG connected and producing power, verification of protection systems, test of power measurements, plus many mechanical tests. Basically, you want the turbine to work and produce many hours in a row (200, 300 or more) without faults. It can lead to delays if not enough wind is available to perform the test. There is also a separate commissioning for the main transformer, the substation (protection systems, power measure equipment, MV switchgear) and the cables. Test on completions are usually for the full wind farm. The whole system has to work without failures for many hours generating power. 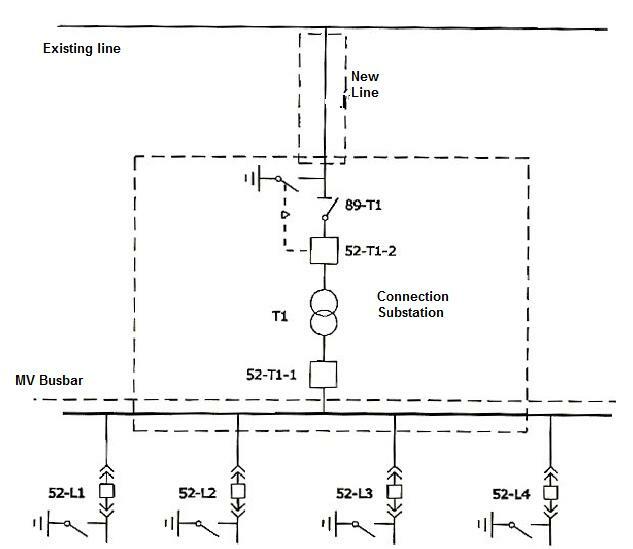 Among other things you want to confirm that the main transformer can evacuate correctly all the power without overheating, abnormal losses, etc..
SCADA system is assessed as well. This group include test like availability, power curve and acoustic noise level. “Availability” of the whole wind farm is assessed. 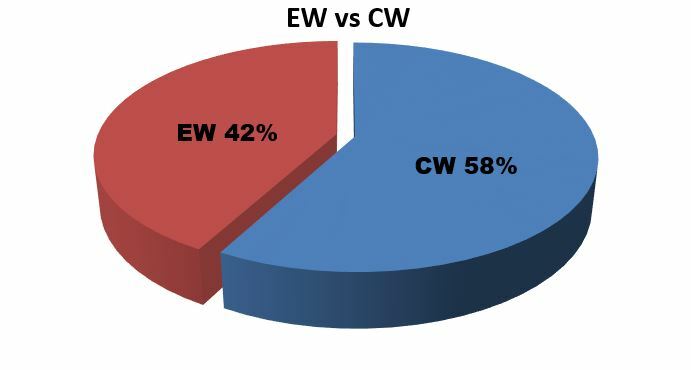 Availability means that the wind farm (and each and every wind turbine) is operating for a relevant percentage of time (95%, 97% or even more depending on the contract). Power curve is the relation between the wind and the output of the wind turbine. 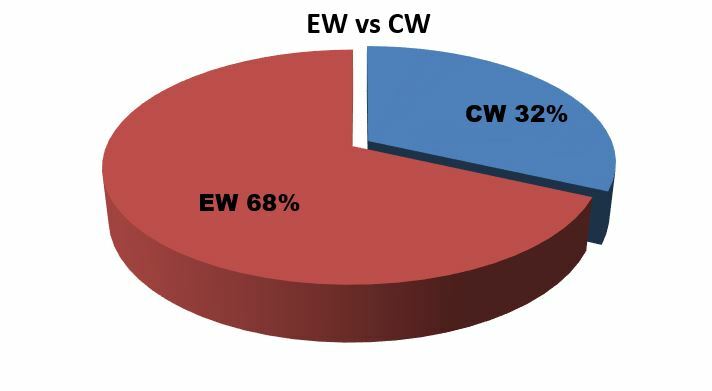 It is critical that the WTG produce as much as expected – otherwise the basic assumptions behind the business model of the project will be wrong. Due to my education as a Civil Engineer there I already wrote a substantial number of posts regarding cost of the civil BoP. However I do not want to neglect the electrical side, which as you might already know is usually accountable for approximately 50% of the total cost of the balance of plant of a wind farm. I went through the cost of several projects I’ve worked at in the last 6 or 7 year together with a very good friend that I’ve left in Madrid to see if it was possible to find a recurring pattern in the numbers. Unfortunately, the Electrical Works costs are much more fragmented than the Civil Works, where few “usual suspect” such as concrete, steel and earthworks dominate the scene and are the key cost drivers. If you are working in the wind business you will be probably thinking that the most expensive items will be the main transformer. 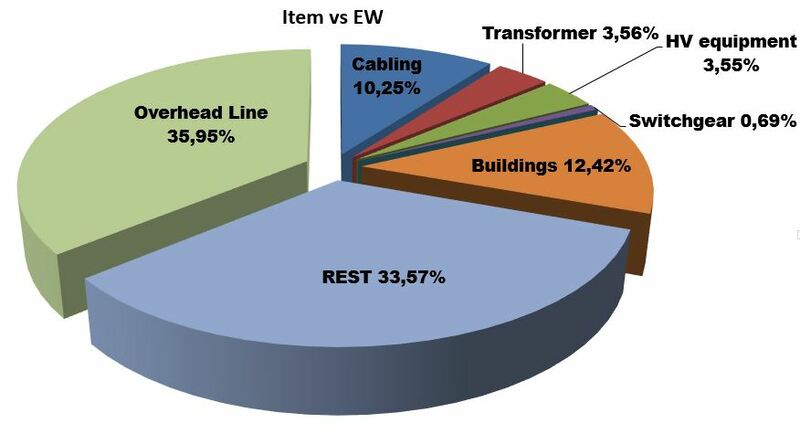 This is not always the case: in project where we had to quote a long overhead line, it absorbed up to 40% of the electrical budget, quite an impressive figure. Even shorter overhead lines could easily end in the 10% to 20% range, that in a multimillion project is obviously a big number. The second item competing with the transformer in the Top 3 is the medium voltage cabling system. Obviously is extremely difficult to give a number because it will depend on the layout of the wind farm (will it be a row of WTGs or a “cloud” of scattered positions?). Nevertheless, numbers in the 3 to 4 million USD are not unusual even for medium size wind farms. Then you have the transformer, the last of the Top 3 items. This is the easiest item to quote, usually somewhere around 1 million USD. Last but not least we have “the rest”. 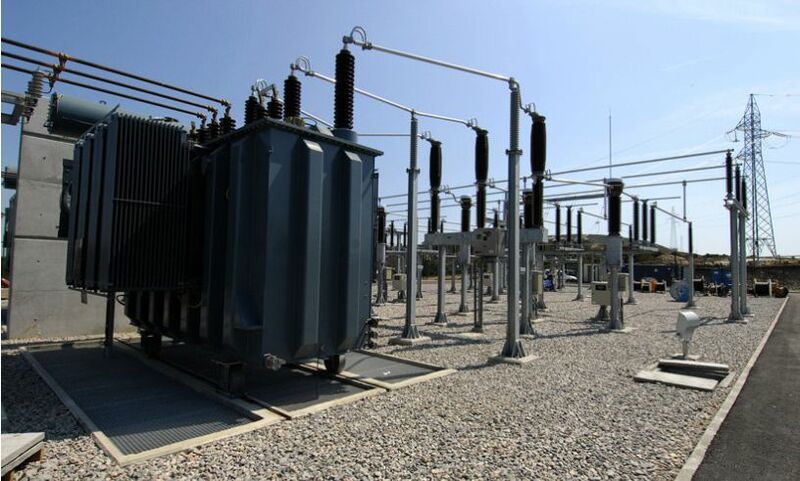 This include everything from the switchgears to the high voltage equipment to the capacitor banks, substation facility and other fancy equipment in the substations. The impact of all this item can be huge, from 30% all the way up to 70%. Obviously, with such fragmentation it becomes clear that from the cost structure point of view Civil Works and Electrical Works are totally different. EBoP vs CBoP - where is the money? There are several recurring questions that I normally hear at least 3 or 4 time each year. 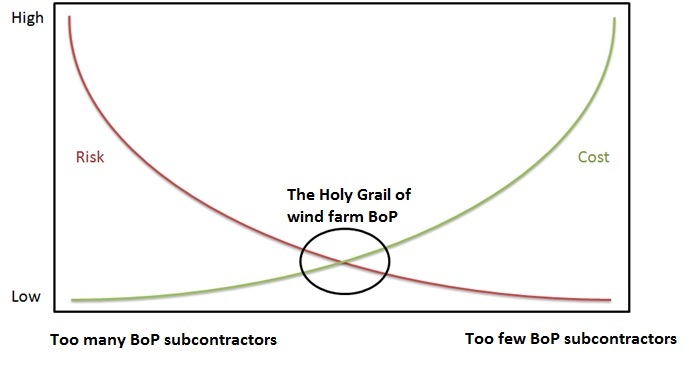 Some are variants of things like “How much does it cost 1 Km of road in Brazil?” - this was asked by my ex colleague Pau many, many years ago but it’s still a classic for me, and a reminder of the fact that in the wind industry BoP is something ancillary to the core business and not really understood by the majority of the colleagues. Other questions are more interesting (or at least, it is possible to try to answer them in a more elaborate and complete way). EBoP: Electrical Balance of Plant – that is substation, medium voltage cables, step up transformers (if any) and in some cases overhead line. CBoP: Civil Balance of Plant that is roads, WTGs foundations, crane pads, trenches and other fancy stuff that could be requested by the specific customer/project. In some project, you are requested to build 2 or more substations: one or more windfarm substation to collect the energy plus a substation to evacuate the energy to the grid. This type of layout will also need several Km of overhead line, in single or double circuit. In situations like this, EBoP is usually more expensive – above all if you don’t need special foundations and earthworks are not particularly complicated (e.g. a flat country, like Uruguay). The opposite case would be a situation where the EBoP is easy (maybe because there is an existing overhead line crossing the wind farm, or an even more lucky situation where you simply have to connect to an existing substation). In this cases, if you also have expensive civil works CBoP will be clearly more expensive. This happened for instance in some project I’ve the pleasure to work at in Chile and Honduras. 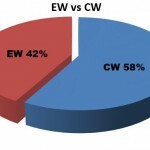 You can see 2 examples in the pie chart at the beginning of the post. By the way, if you really need to answer the question of Pau (“How much does it cost 1 Km of road in the country XYZ?”) the best answer that you can give is 100.000 euros. If it’s a road in an expensive country, remote location, in the mountain, etc. increase the figure (150K – 200K euros), while if it’s in a cheap place it would cost around 80K. 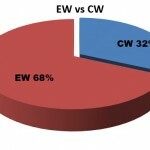 Is wind energy really unpredictable? I know that I’m probably biased on this subject but I want to spend a few words on a recurrent subject that pop up often in my discussion about wind energy with people from different sectors and way of life. Basically, a standard argument about wind energy is that it’s unreliable and unpredictable. In my opinion the reality is different (or at least, much more complex that that). Obviously wind power fluctuate over time, basically under the influence of meteorological conditions. Variations occurs at several scales: seconds (e.g. gusts), hours (e.g. day and night), months (e.g. summer and winder) and so on. The electricity demand as well is highly variable, changing not only with well-known seasonal and night/day patterns but also incorporating several other variables such as the economic cycles. Basically, the grid operator tries to match constantly demand and offer. They will also need to have a reserve capacity in case of errors in the prediction of the demand or unexpected problem like power plants disconnecting from the grid for whatever problem. The key point here is that wind energy is variable, not intermittent. Even during severe storms, the turbines will need several hours to shout down – they will not disconnect all together. Also, the failure of a turbine has usually no effect on the system as they are modular and diffused. This is usually not the case in other type if power plants. It is also predictable within a reasonable margin of error – is not a random event like the number you get when you throw dices. From the point of view of the grid, variations within the seconds or minutes are not felt. Variation within the hours are felt by the system only when wind has a great penetration level (at least 5%-10%). This currently happen in very few countries, for instance in Denmark. Note: the main source for this post was an interesting (at least for me) chapter of the book “Powering Europe: wind energy and the electrical grid”. Almost in every wind farm a step-up substation is built to collect all the energy generated by the turbines and received through the MV cables. The exceptions are new wind farms or existing wind farms extensions built near a substation that can be upgraded to absorb the additional energy produced: in these cases, only a control center with the SCADA and the medium voltage system is realized. 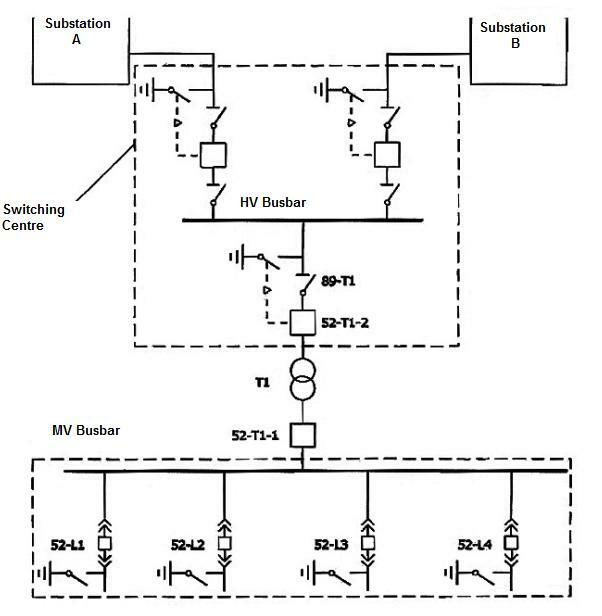 Medium voltage system is composed by the general busbar, disconnectors, circuit breakers and current transformer. High voltage system is made of one or more transformers, together with earthing reactance, surge arresters, current transformer, voltage transformer, circuit breaker and disconnector with earthing switch. 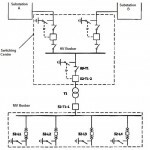 Capacitors banks are installed to comply with the grid requirements regarding active and reactive power. The auxiliary services supply energy both in AC/DC current, and count with a group of battery that can generate energy for several hours to operate the substation in case of emergency, a rectifier and often a backup diesel generator, with a tank big enough to provide energy for 3 days.. 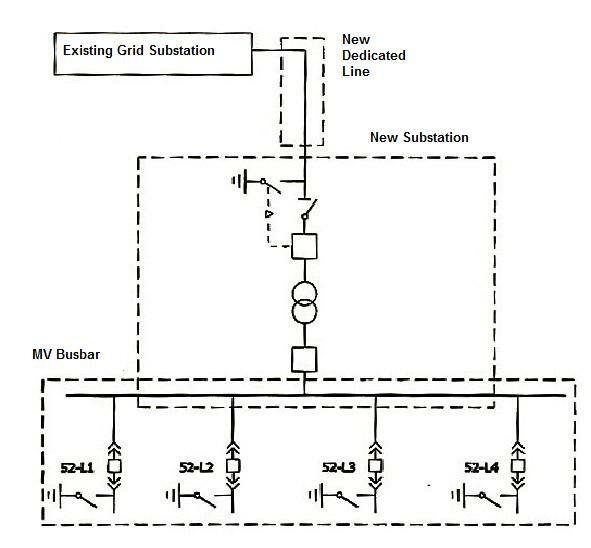 The communication system, must guarantee the correct communication with the adjacent substations and with the grid owner control center, in order to make possible the correct operation of the wind farm substation. 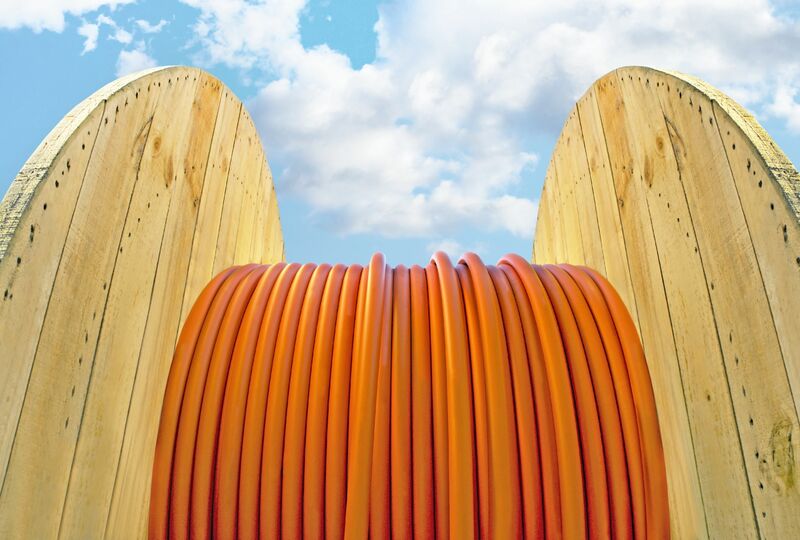 Normally communications are through optical fiber/carried wire. Fire protection system is normally composed by optical or infrared detectors, fire extinguisher, external bells or siren, while te intruders protection system are normally a fence plus a closed circuit TV. Also the SCADA server is normally located inside the substation, together with a parabolic antenna to grant broad band connection. 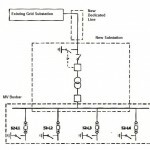 There are several available solutions to connect with the existing high voltage distribution network: normally a dedicated line is used, while in other situations a tap off (or “T” connection) is used. A third solution is to open the existing line between 2 substations.